Raymond is the current Chairman of the South Australian Health and Medical Research Institute (SAHMRI) and was formerly the Chairman of the State Government’s Economic Development Board. Raymond grew up in South Australia and then spent time working internationally in the USA, Europe and India. He is a board member of a number of companies in both Australia and the USA. Raymond brings more than 35 years of leadership in international business management, organisational culture and mergers and acquisitions. He was inducted into the Chicago Area Entrepreneur Hall of Fame in 2003 and was named Ernst & Young Entrepreneur of The Year 2005 for the Illinois Region. Raymond was also named a Laureate in the Computerworld Honors Program, which distinguishes innovators around the world whose visionary use of information technology produces and promotes positive social change. In 2013 he was awarded an Honorary Degree of Humane Letters by the University of Arizona. 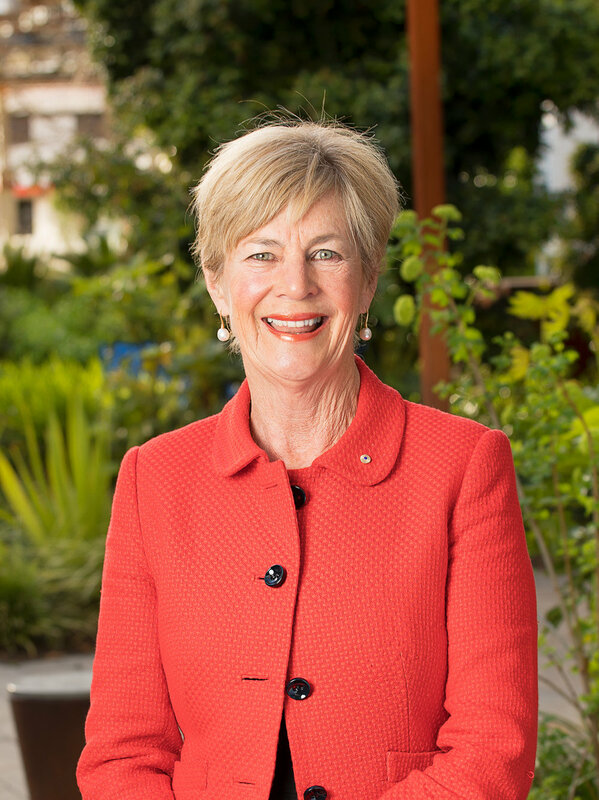 Anne has more than 35 years’ experience as a board director and chair of government, not-for-profit and private sector boards across a range of industries from health, disability and aged care to financial services, education, tourism, community and social services. Anne is currently the Chair of Silver Chain Group. A director and facilitator of the Australian Institute of Company Directors course, Anne delivers governance training nationally and internationally. She has particular expertise in ensuring governance models are fit for purpose, improving the dynamics between board directors and management and ensuring boards work effectively and ‘add value’. Göran Roos is one of the founders of modern intellectual capital science and a recognised world expert in the field. He is also a major contributor to thinking and practice in the areas of strategy and innovation management as well as industrial and innovation policy. Göran sits on the advisory board for Investment Attraction South Australia and the Council of Flinders University. He has authored and co-authored more than a hundred books, book chapters, papers and articles on Intellectual Capital, Innovation Management, Strategy and Industrial Policy - many of which have been recognised with awards. He is a Stretton Fellow appointed by the City of Playford at University of Adelaide; Adjunct Professor at the Entrepreneurship, Commercialisation and Innovation Centre, University of Adelaide; Adjunct Professor at the University of Technology Sydney Business School; and Adjunct Associate Professor in the College of Business, Nanyang Business School, Nanyang Technological University, Singapore. Göran is a fellow of the Australian Academy of Technological Sciences and Engineering (ATSE) and of the Royal Swedish Academy of Engineering Sciences (IVA). Dr Mike Rungie brings to the Board a unique understanding of how people live well in their 60s 70s, 80s and 90s. He currently works with a number of organisations and networks developing scalable strategies that have citizenship and productivity for older people at the centre of what they do. In addition to being a founding Director of the Global Centre for Modern Ageing, Mike is a member of the Aged Care Financing Authority, the Every Age Counts Coalition Steering Group, the SAHMRI Wellbeing and Resilience Advisory Board and the External Reference Stakeholders Group, the SA COTA Policy Council, the Dunstan Foundation Social Capital Partners Group and the Australian Aged Care Quality Agency Innovation and Quality Awards Panel. Mike was previously CEO of ACH Group and a member of the Economic Development Board of SA. Mike has undertaken a broad range of studies, research projects and service trials to enable older people to have access to the products and services they require to live well – most recently leading ACH Group in trialling service models that enable older people to receive high quality care while achieving a high quality of life.